Western Massachusetts is home to the Basketball Hall of Fame and many seasonal attractions, including The Big E & Bright Nights at Forest Park. 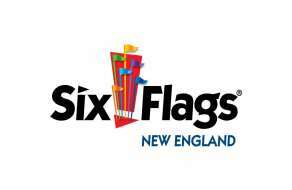 Discover the experience of a lifetime at Six Flags New England and explore the beautiful mountains year round. Explore the vibrant nightlife of big cities like Springfield, the lively college towns of Northampton and Amherst plus traditional New England towns and historic villages. Along the way, you’ll discover fun-filled attractions and distinctive distractions so varied, so enticing, that one visit here just won’t be enough. Less than three hours from New York City and Boston and only an hour from Springfield, the Berkshires offer culture and adventure year-round. The surrounding mountains provide plenty of opportunity for outdoor excursions in all seasons while world class culture and entertainment, along with a deeply rooted food culture and an array of lodging options amidst picturesque towns, set this region apart. The Berkshires is a unique rural destination with a cultural scene to rival far larger urban dwellings. The oldest amusement park in the Six Flags chain. Six Flags is the largest family theme park in New England featuring eight thrilling mega coasters and Hurricane Harbor, a water park with nine tube slides and a 500,000-gallon wave pool. This thrill Capital of New England is perfect for all ages. The game of basketball was founded in Springfield, Massachusetts year 1891. The Naismith Memorial Basketball Hall of Fame is home to more than three hundred inductees and more than 40,000 square feet of basketball history. This museum has hundreds of interactive exhibits with skills challenges, live clinics, and shooting contests. Home of the Amazing World of Dr. Seuss Museum. Located in the heart of downtown Springfield, Massachusetts, the Springfield Museums offer access to five world-class museums, including the Amazing World of Dr. Seuss Museum and the Dr. Seuss National Memorial Sculpture Garden, all under a single admission. Rediscover your curiosity by exploring your connections to art, history, and science through outstanding collections, exhibitions, and programs. Bright Nights at Forest Park is a national attraction during the Holiday season. Springfield’s very own public park offers 736 acres of open space and a variety of recreation options for the whole family! The Zoo at Forest Park features exotic and indigenous animals representing a large variety of species found throughout the world and in North America. Springfield’s only destinations for live, professional theatre! Symphony Hall is home to a Broadway-style theatre, top-quality children’s programming, and internationally recognized speakers. Built in the early 1900s, the historic building is also home to the Springfield Symphony Orchestra and The Springfield Public Forum. CityStage presents, Off-Broadway comedies, dramas and musicals in its intimate, 479-seat Blake Theatre and 70-seat Winifred Arms Theatre. The largest professional orchestra in the region celebrating its 75th Anniversary Season. 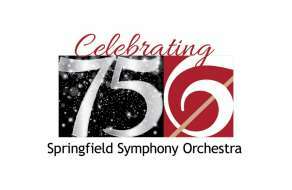 With seven classical concerts, three popular concerts and a host of other chamber music events and special events (from September 2018 - May 2019), the Springfield Symphony Orchestra remains the premier professional orchestra in the region. Join the orchestra at 7:30 p.m. on concert Saturdays at Symphony Hall for a one-of-a-kind live music experience. Whether you love classical music, Broadway hits, or movie music, the Springfield Symphony Orchestra has something for you. Explore the amazing collection of historic firearms. Springfield Armory National Historic Site commemorates the critical role of the nation’s first armory by preserving and interpreting the world's largest historic US military small arms collection, along with historic archives, buildings, and landscapes. Started as a technical reference library for the workers and engineers at Springfield Armory and now the museum collection has grown into one of the largest collections of military small arms in the world.